Eco-friendly, budget friendly and exceptionally easy, storing your own rainwater is a smart and useful idea. Here at homify, we are big fans of recycling rainwater and any other innovative ideas. We have heard that water is the elixir of life, not only because it revitalises the land but also because water is the major component of a human being. Therefore, in many parts of the world and most notably in Mexico, there is a special emphasis on creating new ways to store rainwater. This initiative certainly resonates with the international community, however, because this is a resource that we need to look after. It is indispensable! This trend has picked up considerably in the last few years, with people around the world finding numerous ways to store rainwater and make the absolute most of this invaluable resource. For this reason, it is not surprising that there is a wide variety of designs and structures available to help us carry out this task. Wells or containers are just a few options available that allow rainwater to be collected. While each has its own specifications and features, they all give us an opportunity to look after this planet a little bit better, right from our very own home. Rain water storage tanks come in various dimensions and sizes. These containers are usually connected with drain pipes from the top of the container, which allows rainwater to flow into the container without overflowing the tank. Due to the design, they are also generally excellent for the garden or the outdoor patio, creating a captivating design element that can be viewed for family and friends. These also are very durable and effective, compared to other rainwater collection systems. If you live in a city where the rain is constant, then you should take into account the capacity of the tank and look for ideal places to install it. You want it to be both functional and aesthetically-pleasing. 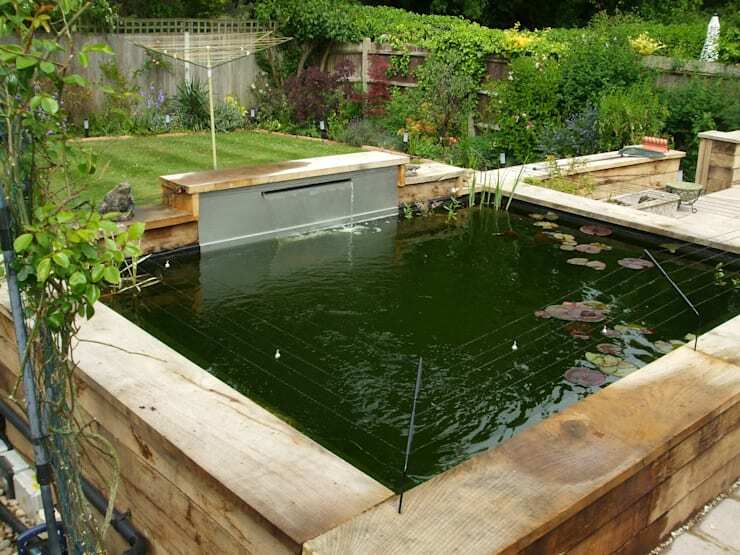 Clean ponds, like in this design by Aquajoy Water Gardens, are a very ideal and useful way to collect rainwater. Each container is connected by several valves, which will allow the liquid to be sent to a larger container when it over flows. This tank is usually installed underground. While it is true that the construction and costs of this design are not that cheap, we can assure that the investment will be worth it as it can be used for life. Their functionality is very broad! In addition, these ponds have complex filter systems, which after a few minutes, can purify the water so that you can use it for whatever you want. A great option! With water being a natural resource, it can be easily contaminated by all sorts of external agents, which can compromise our health. Therefore, a fundamental aspect when choosing a rainwater collection system is to know how they purify water. 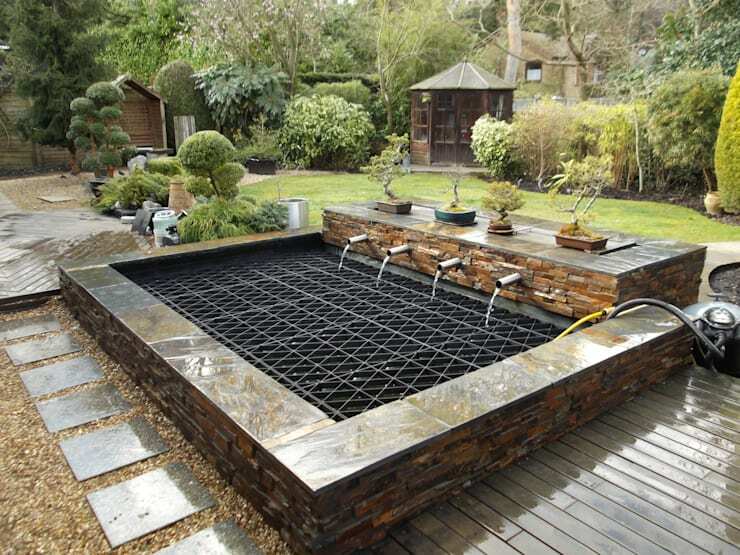 In this design, by Barry Holdsworth Ltd, we can see a rather excellent design, which also serves as a very viable alternative to water storage. It has a purification system that is based on solar radiation! Although this system seems rather odd, it is not, because within these containers there is a system of pipes and valves that make solar energy the starting point for an excellent purification process. And this all happens in a single container! This method of purification is very convenient compared to other systems and is characterised by its low cost and effectiveness. Likewise, it's size and easy installation process allows us to take advantage of every corner of our home, especially if we live in a tight space. 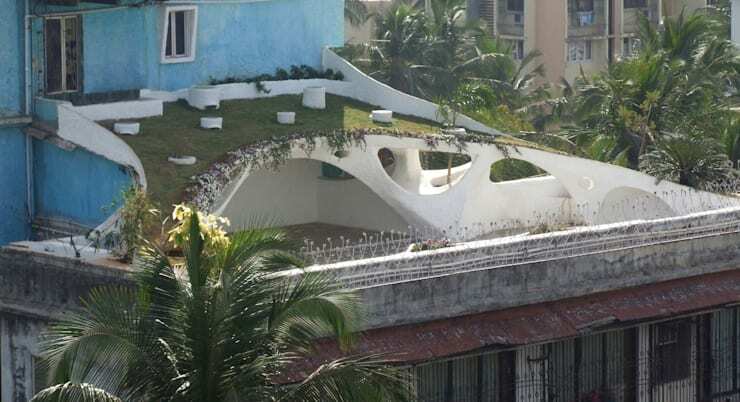 Undoubtedly, there are many ways to store rainwater. There are systems that stand out for their size and complexity as well as systems that surprise us because of how simple they are. This image shows us a perfect example of a simple, rustic design. Not only is it ideal for open spaces but it's a very effective and low-cost method. The only disadvantage when it comes to these containers is that they have a very limited life span. Therefore, if you really want to invest in a rainwater collection system that is durable and long-lasting, you may want to review other options. But if you want to gradually get to know these systems, this is a good place to start as you become more familiar with the concept. When it comes to choosing a suitable structure, you need to make the most of the space available to your in your home as we can see in this design. These innovative designers have placed a rainwater storage system on the terrace, with the appropriate drain, allowing for more possibility of storing water from the environment. Usually storage structures deposit water into containers that have been installed in the ground. Once the water is collected in them, a chemical purification process is carried out. These systems stand out for their durability and high capacity to collect water in rainy climates. In addition, this structure gives our home a contemporary twist that we wouldn't otherwise find in other projects today. This is a sensational alternative! 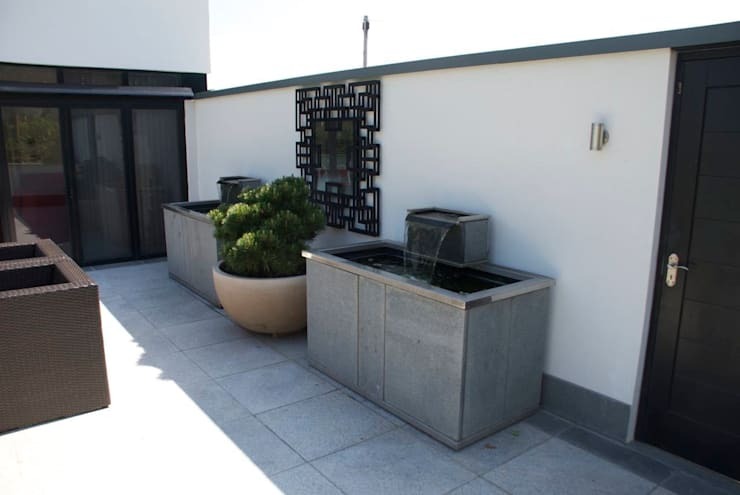 Could your terrace fit a rainwater storage system on it? Have a look through the homify terrace products for inspiration. Would you store rainwater in your home?